Notre Dame has shown a willingness to look anywhere and everywhere for prospects it believes would fit the program and help. Back in November, the Irish proved that means prospects overseas when they extended an offer to Alexander Ehrensberger‍, a defensive end from Germany. Now, Notre Dame is taking a serious look at another German defensive end and this one is in the Class of 2019, meaning he’ll be announcing his decision in a little over a week. 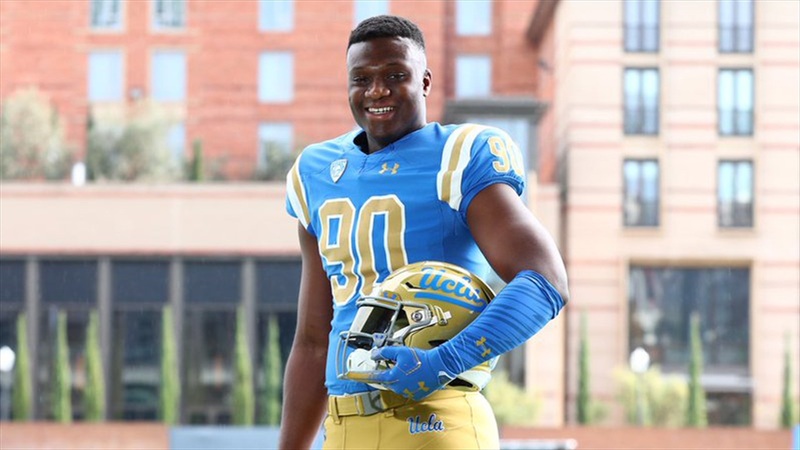 Irish defensive line coach Mike Elston is headed to Germany this week, where he’ll check in on Ehrensberger and others, including 2019 defensive end Joseph Appiah Darkwa‍. “He’s coming out to see Alexander and Darkwa and he’s coming to see four other kids,” said Brandon Collier, founder of PPI, a company that specializes in training and helping international prospects earn scholarships to play in the United States. Darkwa has several offers, including schools like Penn State, UCLA, Rutgers, Colorado, Virginia and Georgia Tech among others. Darkwa’s recruitment has been accelerated in recent months. Darkwa is fresh off official visits to Penn State and UCLA earlier this month and also took one to Rutgers back in November. Notre Dame is “definitely” a school Darkwa will have serious interest in, according to Collier. Things could move even quicker for Notre Dame this week. Darkwa is expected to commit and sign with a school by next Wednesday. “Signing Day is coming up,” Collier said. “He’ll make a decision on Signing Day.